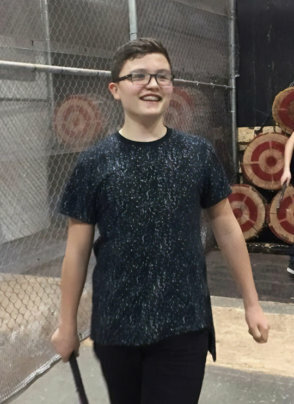 Throwing an axe was the not the way 14-year-old Caydon Allen thought he would celebrate his birthday. His parents had other ideas. Together, they headed out with a friend to Axe Monkeys, an indoor facility in the north of Kelowna. 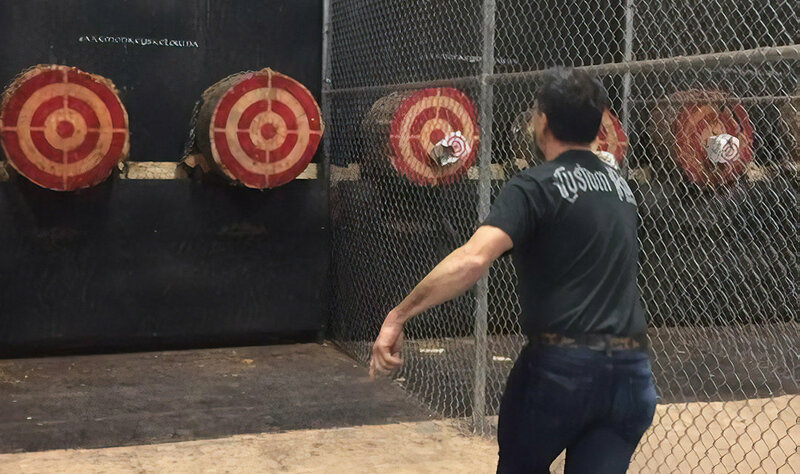 Axe throwing can be an excellent skill-building exercise, taking both focus and coordination. A one-and-half pound hatchet is held with one or two hands behind the head. The thrower steps to the line and tosses the axe nearly four metres as it rotates in the air towards the bullseye of the target. At first, the group weren’t sure how to hold the tool correctly, but an hour later they were practicing different throwing methods, including a “double-axe” (throwing two axes at once). Axe throwing and other heavyweight competitions originate from the Highlands of Scotland where competitors throw a Francisca-style axe, a weapon used during the Early Middle Ages. Towns, villages and sometimes castle grounds in Scotland host Highland Games, keeping the tradition. 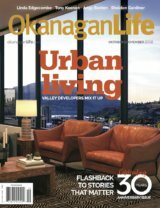 Closer to home, head to festivals in Kamloops and Penticton. If Caydon sees a future for himself in the sport, he needs to look no further than Alex McAra, a member of the University of Victoria men’s rugby team for inspiration. Named Junior Highland Games Champion in 2017, Alex holds the Canadian junior record for Open Stone; his a 14-pound field stone heaved more than 14 metres (46’ 8”). In Kelowna, axe throwing is attracting more than those of Scottish descent. 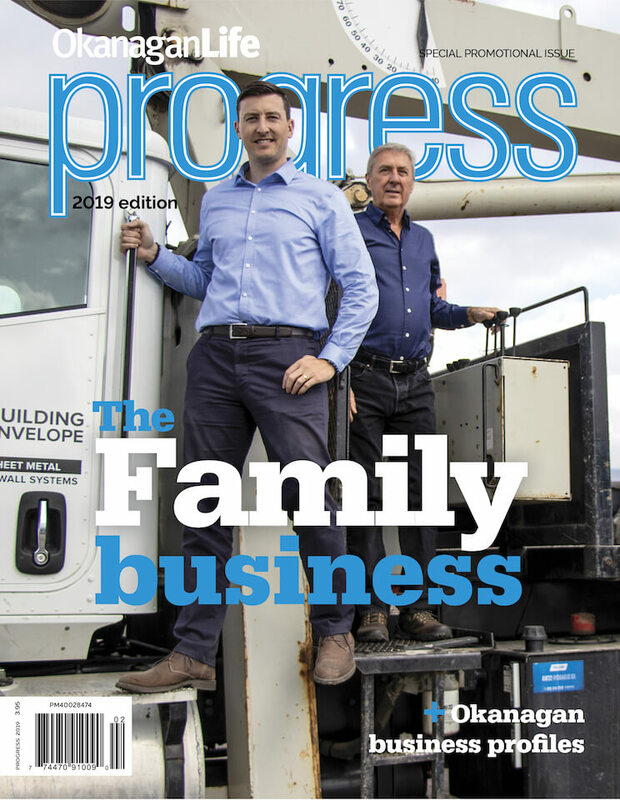 “We make it a fun family atmosphere,” said owner Dave Calhoun, who has opened locations in both Kelowna and Las Vegas. “We get a good mix of people coming in; we’ve hosted birthday parties ranging in age from seven years old all the way to 90.” His daughters were as young as eight and nine years old when they learned how to throw an axe. Looking for something new with the family or a unique night out for the boys (or gals), perhaps pick up an axe. 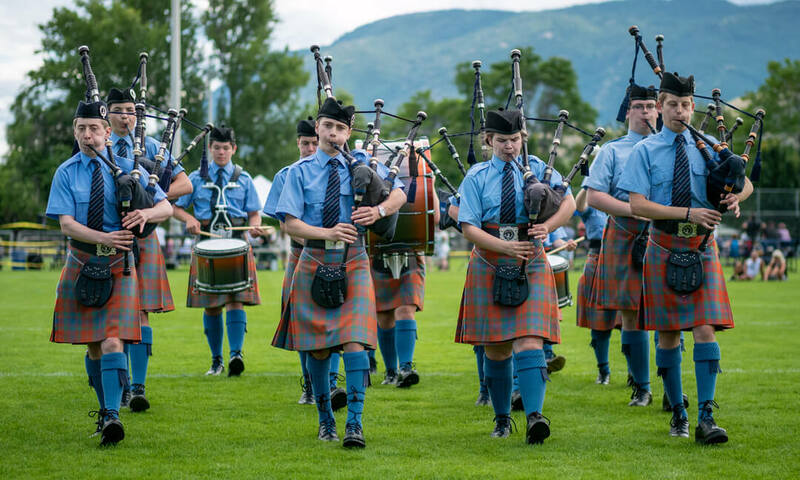 Pipe bands are a highlight of the annual Penticton Scottish Festival.